I have just returned from a fascinating trip along the Danube funded by the European Commission. It cost a staggering £600,000 to put the tour on and was a real adventure as no one knew what was happening, even the event organisers. The trip was a leisurely 500km in 5 days with a mixture of capabilities. Each country was only allowed a handful of participants and most EU countries were represented. There were two routes, over 130 cyclists started in Bucharest, cycled through Romania, Bulgaria and Serbia staying in local hotels as we went. The local population in many of the villages were completely bewildered by our presence, having never seen anything like it before. We had events and parties in the local towns when we finished cycling each day. Quite extraordinary experience being welcomed by the locals with all the food and drink laid on for us everywhere we went. On the last day, we met up in Belgrade with the rest of the cyclists, another 200, who had cycled from Budapest. The centre of Belgrade was closed off and we spent 2 hours cycling round it with police escorts and ended up in a huge party to mark the end of the event. 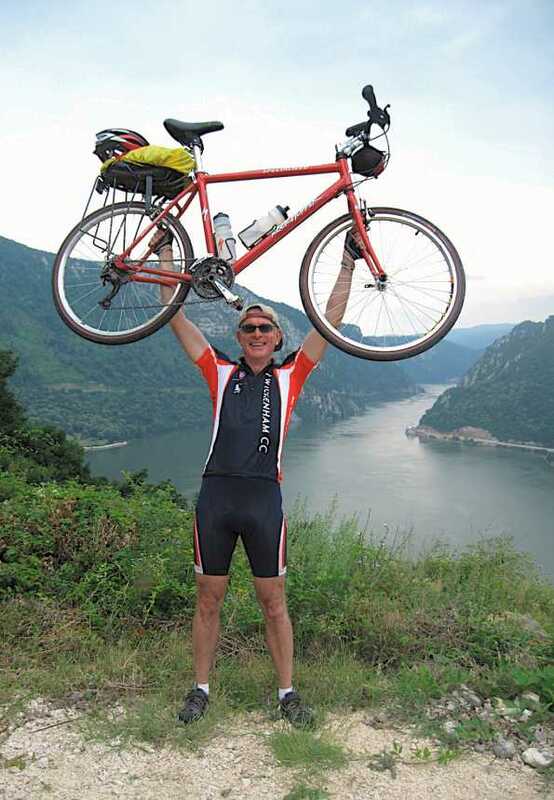 There are a few pictures if anyone wants a look, Including one of me holding my bike up at the Iron gates (narrowest point of the Danube) in my Twickenham kit. It will probably run again next year, but will unlikely be to be free again and will be oversubscribed in minutes I am sure.